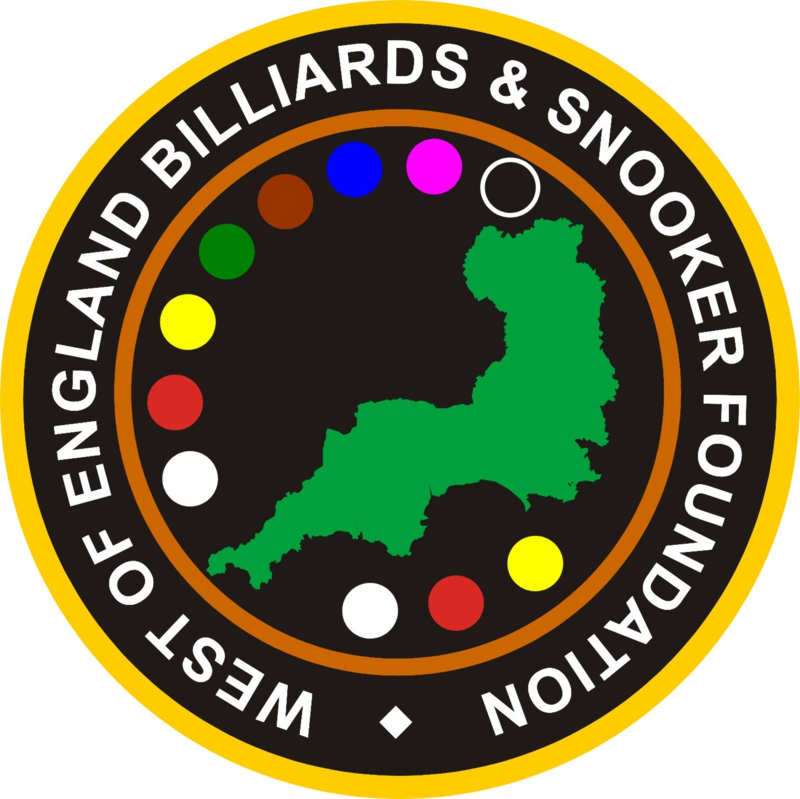 Steve Downing (Cornwall) demonstrated his big break building prowess only to fall at the final hurdle against former professional Eddie Manning (Cornwall) in the final of the WEBSF West of England Open Snooker Champion 2015. Manning and Downing came through a quality field of 32 players from around the West of England region, Wales, the Midlands and Northhamptonshire to compete in the final. With both players tiring after two long days of competition, the final was likely to be a tense affair with unforced errors playing a significant part. The pattern of play that ensued comprised a mixture of cautious but solid break building, quality safety with very few mistakes. It was Manning that best capitalised on the chances which was to separate these two top players, wining 3-1. Modest beaks of 42 from Downing and 52 from Manning were the only breaks of note in the final, a far cry from the standard both players demonstrated earlier in the competition. In the group and knock-out stages Manning was prolific, recorded a string of breaks (86, 84, 83, 71, 69, 68, 66, 59, 52, 50, 49, 48, 46, 45 & 44) whilst Downing hit big and hard, making break of 115 clearance, 107, 94, 66, & 45, the first three breaks by Downing came in an exceptional spell of three consecutive frames. Along with the prestigious title Manning took the lion’s share of the £1000 prize money. To progress through the knock-out stages Manning beat seasoned tournament player, Steve Weaver (Bristol) in the last 16 followed by Steve’s son Kurtis in the quarter’s. In the semi’s Manning had to recover from a 2 frame deficit to record an excellent win against the defending champion Haydon Pinhey (Plymouth). Downing’s victims in the knock-out stages included another father and son duo. First to fall, in the last 16, was former 2013 finalist Wayne Branton (Plymouth) followed by a tough 3-2 battle against Dale Branton in the quarter‘s. In the semi’s Downing overcame Harvey Chandler (Northhamptonshire) who was undefeated previous to this encounter. Other players that qualified for the knock-out stages were quarter-finalists; Barrie McIntosh and Rob Johns, both from (Cornwall and in the last 16; Darran Lock & Rees Porter from Cornwall; Andy Symons & Dean Anderson from Tavistock; Dan Legassick from Plymouth and Matthew Hulatt from Tiverton. In addition to the breaks mentioned the following breaks over 50 were recorded: Haydon Pinhey 83,78,67,63,51,50, Michael Day 53; Andy Symons 104,98,67; Andy Symons 51; Dan Legassick 73,62,56; Barrie McIntosh 59,56,51; Dale Branton 66,65,63,52; Chris Coumbe 55; Jason Simmons 64; Harvey Chandler 78,56; Tom Kevern 52; Steve Brookshaw 55 and Rob Johns 66,57. WEBSF Tournament Director Darren Hall said, “This weekend we have seen some quality snooker from across the board. The two men standing were worthy finalist; Eddie Manning’s consistent barrage of frame winning breaks and Steve Downing’s trio, comprising a 115 clearance, 94, where he just missed the pink, followed by a 104 in consecutive frames was awesome! Young players like defending champion Haydon Pinhey reaching the Semi’s, before losing by a deciding frame and Aiden Johns reaching the final of the Plate bodes well for younger players coming through.” Any player interested in entering WEBSF events should contact Steve Canniford, Mobile 07891940995 or visit http://www.websfsnooker.com or WEBSF Facebook. Thanks to the Belgrave Snooker Club and the WEBSF who sponsored this event.